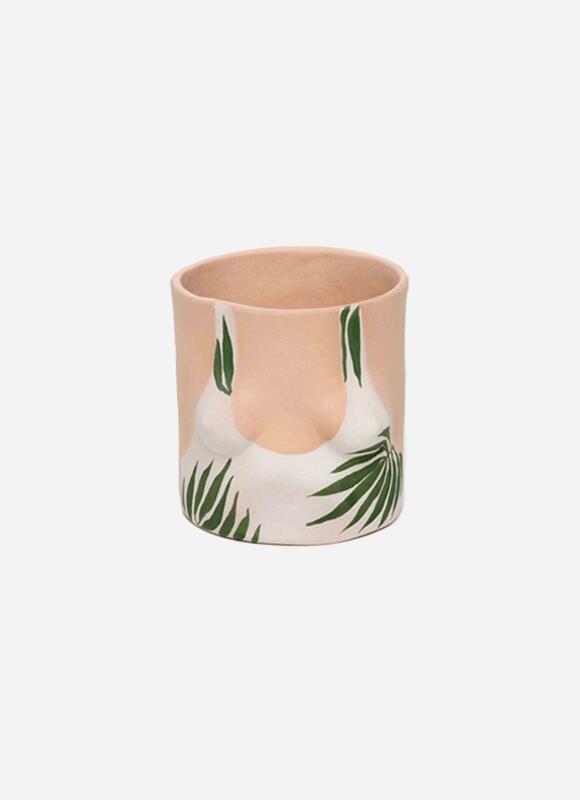 Pre-order the legendary handmade planter/pot from Group Partner! Limited stock! Ships End of June! The pot is cast in a light tan clay and hand painted with colorfast matte glazes. 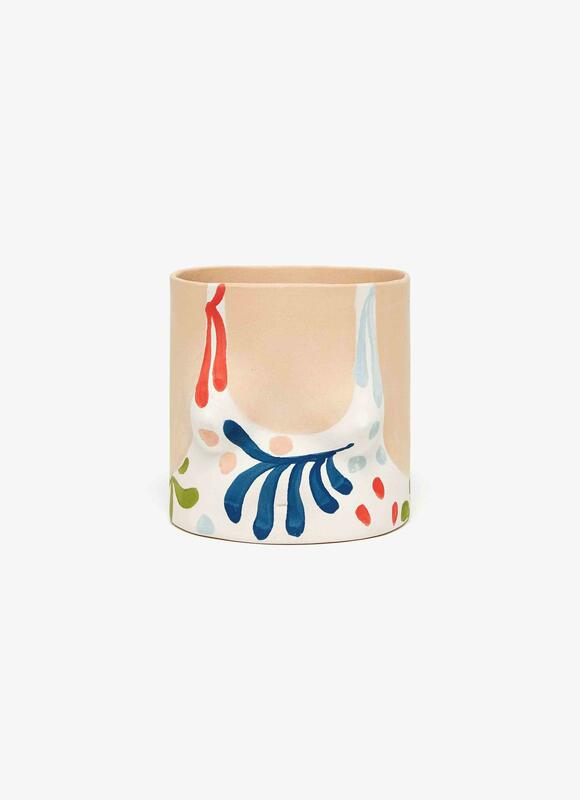 All Group Partner pieces are slip cast and hand-painted in Brooklyn, New York. Group Partner is a Brooklyn based ceramic studio created in 2012 by “neo-hippie” Isaac Nichols and “radical feminist” Steph Smith. Neither of whom are “business types”. The “company” started as a means for Isaac to “blow steam” following his “long day at the office” as a “ponytail contractor”. Following the internets embrace of his “girl” and “face” pots Isaac struggled alone. In 2015 Isaac crossed paths with “radical Feminist” Steph Smith aka HaHaShutUp, a recent recipient of the extremely marketable and respected Feminist Theory Degree from Evergreen University, which she had industriously applied to her job as a “dog walker”. The two have worked together side by side since then in early 2015, “righting the wrongs of humanity”, one pot at a time. All Group Partner pieces are slip cast and hand-painted in Brooklyn, New York. Slight variations in size, shape and color may occur. Each piece has a low-lustre glaze which is color fast but will show signs of age and wear with use. Pots can be cleaned with soap and water and are not food safe.